Spring is the perfect time to begin updating your home to refresh and renew your look. Spring is the perfect time to begin updating your home to refresh and renew your look. Not only is the weather finally nice enough to break ground for any projects that require digging, but its the best time to work towards adding value to your home. By summer all you’ll want to do is kick back and enjoy the sun, so why not get a head start with these four projects guaranteed to have your home looking and feeling its best. Now that you can begin moving some of your cooking outdoors, why not start on that kitchen remodel you’ve been dreaming about since you first moved in? The kitchen is one of the most important areas of the home and any renovations will see a 60-120% return. Even a partial renovation can yield significant appeal. 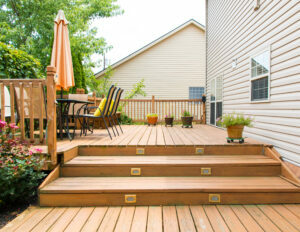 Not only will you have the perfect place for all your summer cookouts, but adding a deck is another way to add significant value to your home. 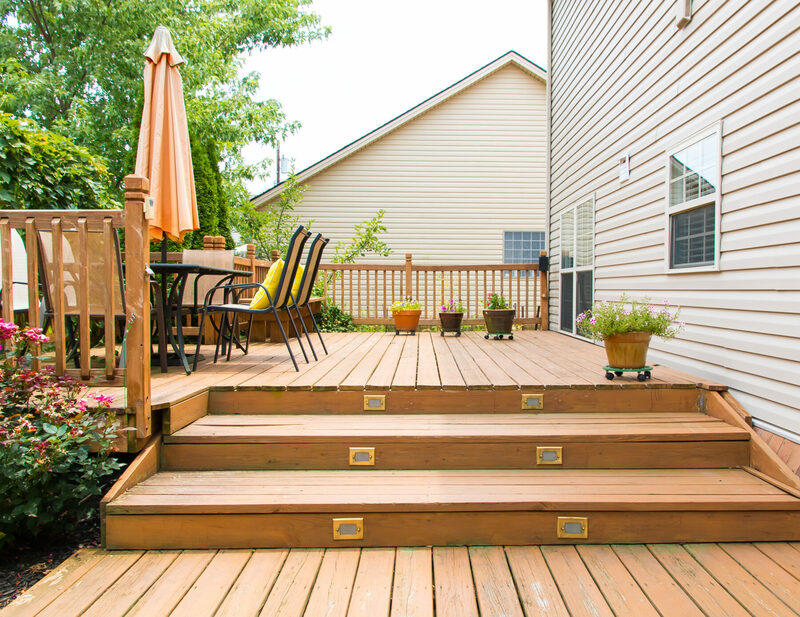 A deck remodel won’t be nearly as invasive as a kitchen remodel, so you can add a beautiful space to your home without too much trouble. Want a quick and inexpensive update? A fresh coat of paint might be just what your home needs to stand out this spring. A crisp new paint job in a modern hue do wonders when it comes to updating the look of your home. You may consider opting for a low-VOC paint to create a more eco-friendly environment while exposing your family to fewer chemicals. Along with being visually appealing, new windows can help reduce your heating and air conditioning costs significantly. Some especially energy efficient windows can save homeowners up to $500 a year. Not to mention, new windows will bring a 60-90% return should you decide to sell your home. If you’re ready to begin updating your home this spring, Atlantic Maintenance Group has you covered. If you are looking for help keeping your residential or commercial property free from soil erosion or other lawn diseases, Atlantic Maintenance Group is ready to help you with our variety of landscaping, asphalt, snow removal, and concrete maintenance services. We are experts in our field, and we are prepared to meet your needs with a price and product that will leave you grinning. If you’re interested in getting a free quote or more information, visit us online or give us a call at (410) 768-4720. To see examples of our work and stay up to date on our specials, follow us on Facebook, Twitter, Pinterest, and Google+. This entry was posted on Friday, April 20th, 2018	at 7:24 pm	and is filed under General Contractor	. You can follow any responses to this entry through the RSS 2.0	feed. Both comments and pings are currently closed.